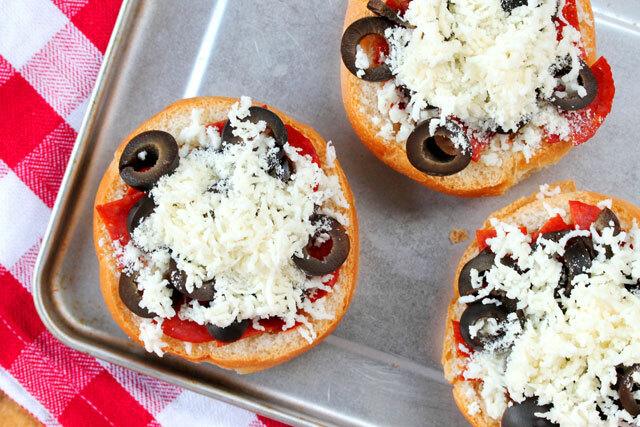 Pile the toppings on high with these delightful mini pizzas that are made with a quick and easy homemade pizza sauce. No matter how you look at it, pizza is downright delicious. 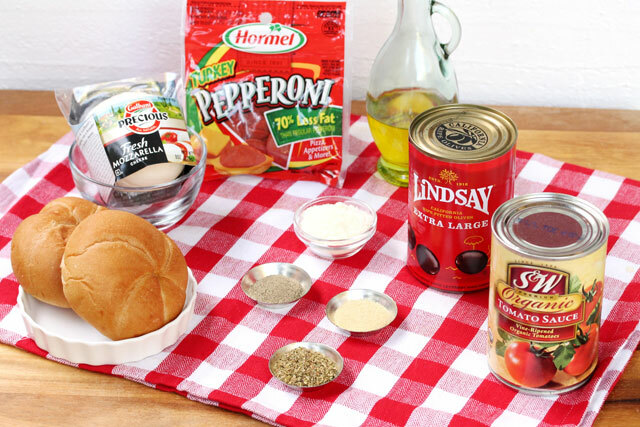 When you think about it, pizza just has a few main ingredients but when combined, they tastes so good together. There’s nothing like pizza at my favorite restaurant where the sauce tastes so wonderful. 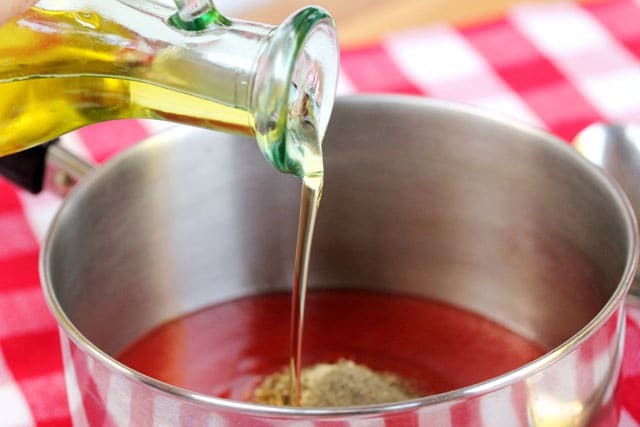 But when I made pizza at home the problem I always had was finding a prepared sauce that I liked. 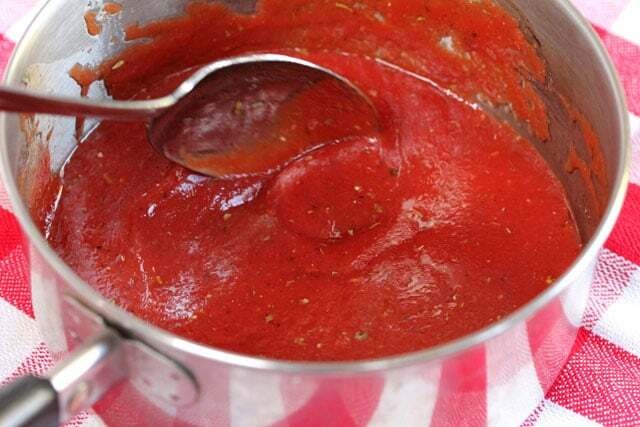 Then I started making my own pizza sauce and experimenting with different ingredients. 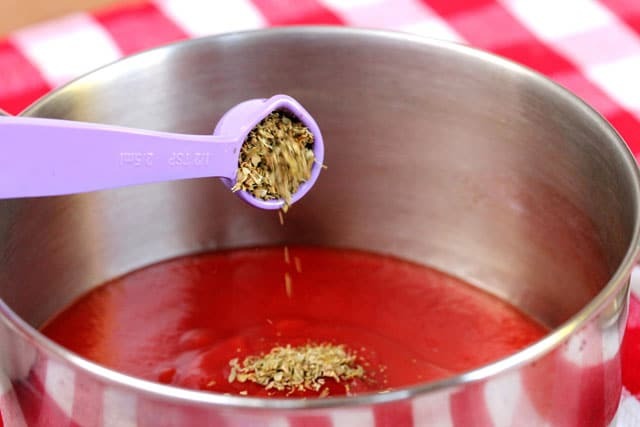 I came up with a recipe that I use all the time now and it’s super simple to make with basic ingredients; tomato sauce, olive oil, and some spices and dried herbs. 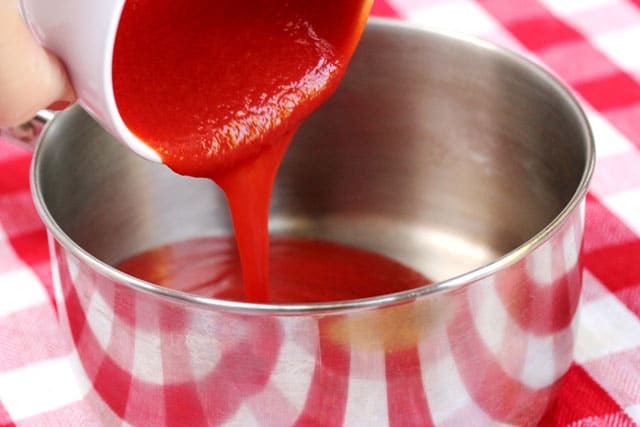 Making a quick pizza sauce at home is less expensive and can be adjusted to the particular taste that you like. 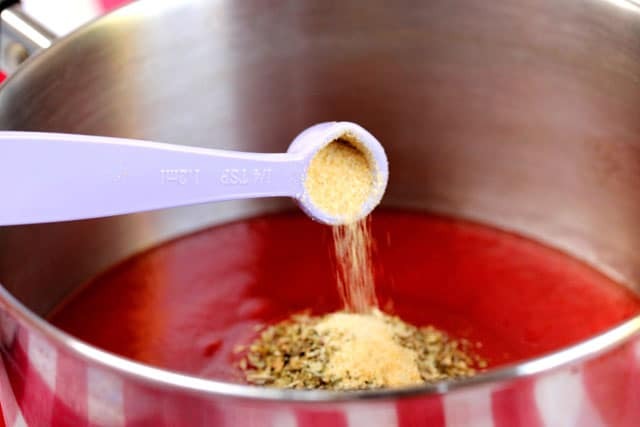 The pizza sauce in this recipe can be customized to your liking by adding fresh garlic, tomato paste if you like it thicker, hot red pepper flakes if you like it more spicy, or a bit of sugar if you prefer a sweet taste. There are so many different breads that can be used for making pizza like Naan bread, English muffins, French bread, and flour tortillas. 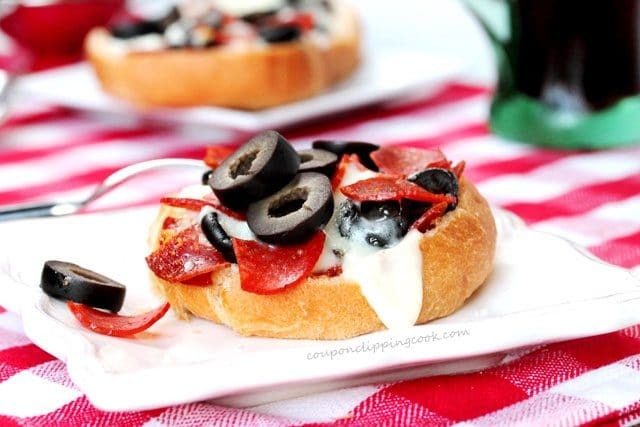 I used mini Kaiser rolls in this recipe but feel free to switch the bread up. 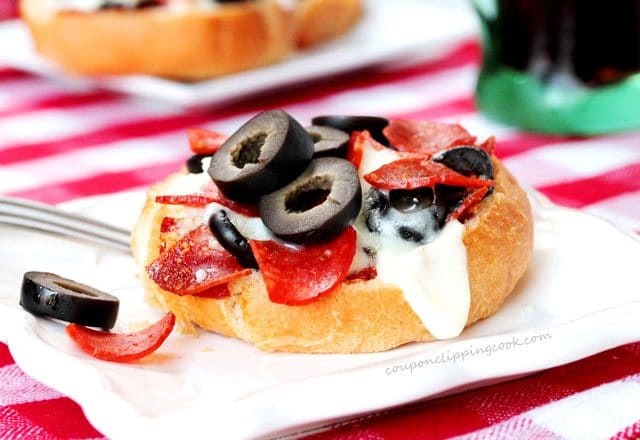 For the Pizza – Mini Kaiser rolls, mozzarella cheese, pepperoni, black olives, grated Parmesan cheese; The toppings can be changed to your liking. And the good news is…..no extra charge for more toppings! Stir together. Heat on low to medium heat for about 15 minutes. Continue to stir as its cooking. Set aside for a moment. Slice off the top of each roll leaving about three quarters of the actual roll as the base for the pizza. Then slightly hollow out the middle of each roll by removing a small amount of the bread making sure to leave ample amount of crust (and some of the bread) around all of the edges. 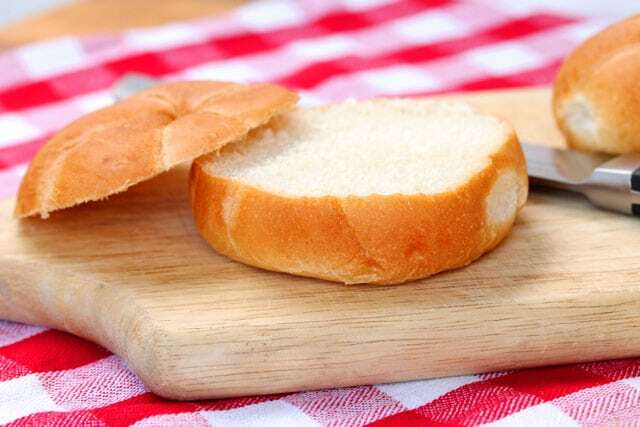 The bread should look like small “bowls”. Set aside for a moment. 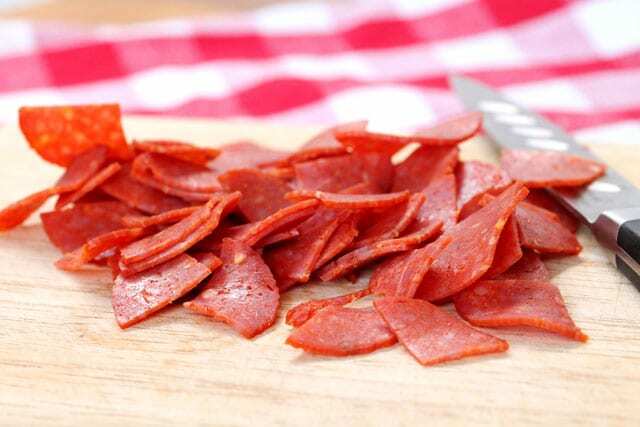 Cut the pepperoni into quarters. 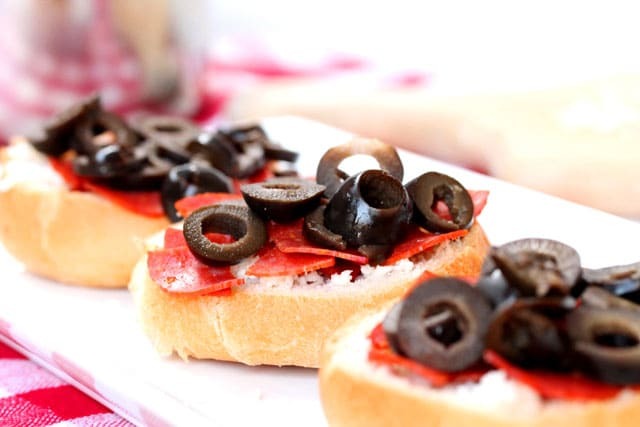 Slice the olives (or use canned pre-sliced olives). 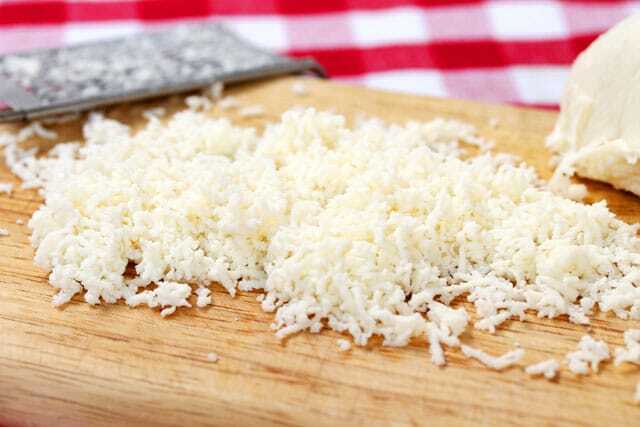 Grate the mozzarella cheese (or use pre-grated mozzarella cheese). 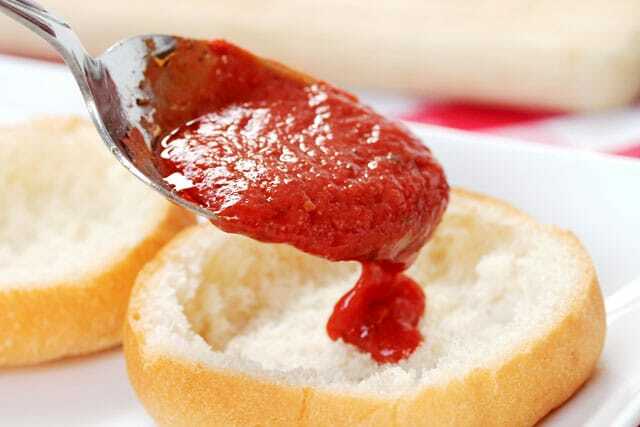 Spoon the pizza sauce in the middle of the bread bowls. Add half of the mozzarella cheese over the pizza sauce (reserving the rest of the mozzarella cheese for another layer of toppings). 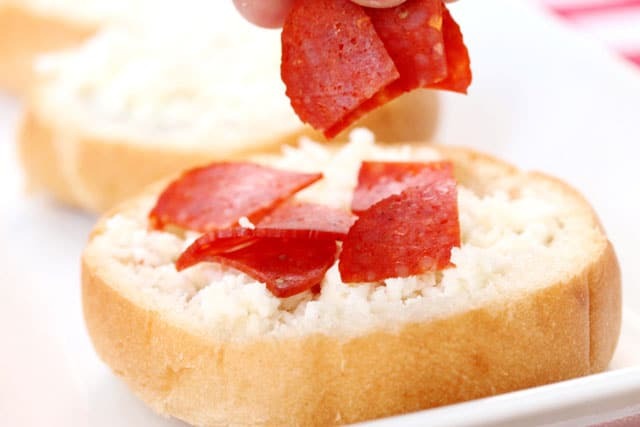 add half of the pepperoni (reserving the rest of the pepperoni for the next layer of toppings). 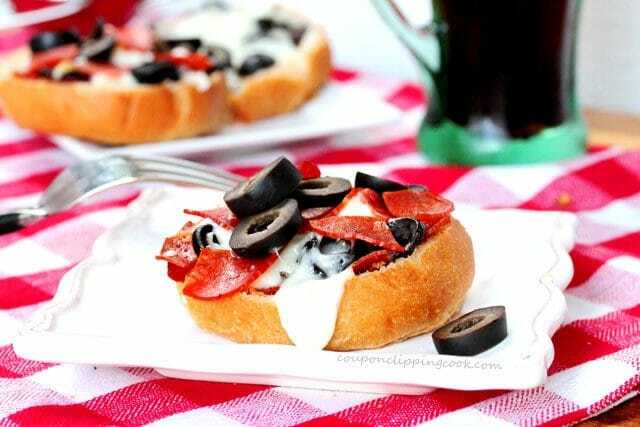 add half of the black olives. 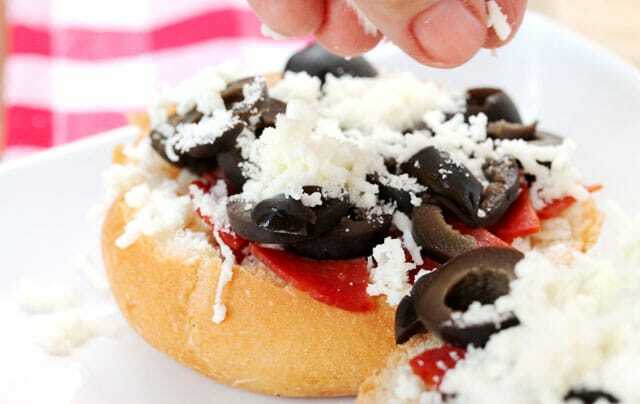 Sprinkle half of the grated parmesan cheese on top of the pizza. 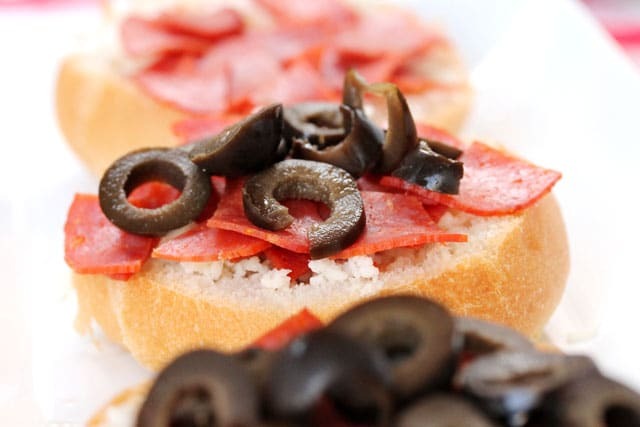 pepperoni, olives, and Parmesan cheese. Bake in a preheated oven, uncovered on a cookie sheet in the oven for about 15 minutes or until the cheese is melted. Serve hot right out of the oven and enjoy. 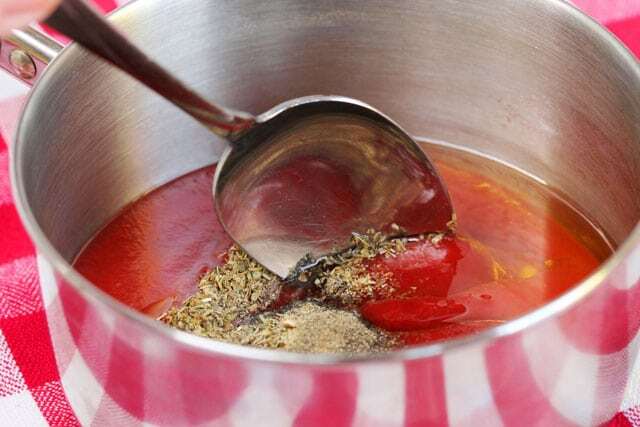 In a small sauce pan, add the tomato sauce, dried oregano, garlic powder, olive oil, pepper and salt. Stir together. Heat on low to medium heat for about 15 minutes. Continue to stir as its cooking. Then set aside for a moment. Slice off the top of each roll leaving about three quarters of the actual roll as the base for the pizza. Then slightly hollow out the middle of each roll by removing a small amount of the bread making sure to leave ample amount of crust (and some of the bread) around all of the edges. 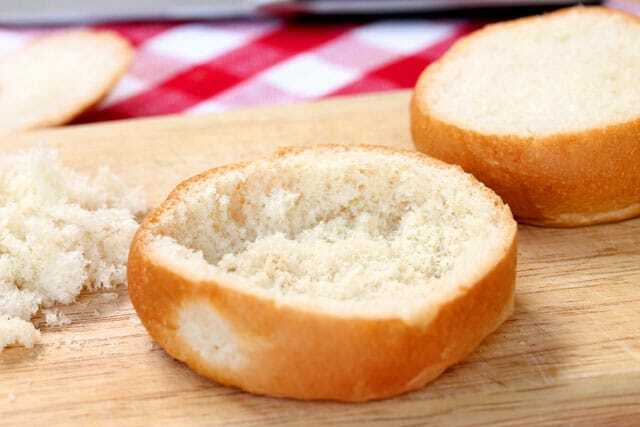 The bread should look like small “bowls”. 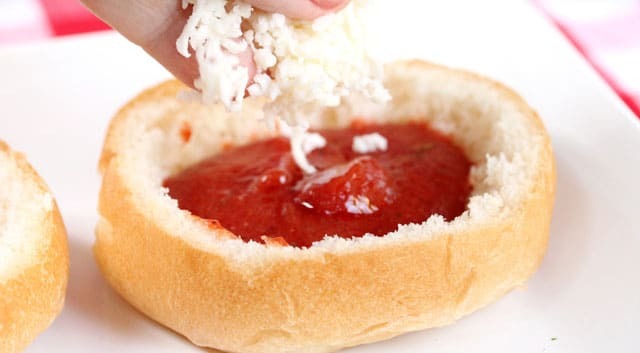 Spoon the pizza sauce in the middle of the "bread bowls". Add half of the mozzarella cheese over the pizza sauce (reserving the remaining mozzarella cheese for another layer of toppings). 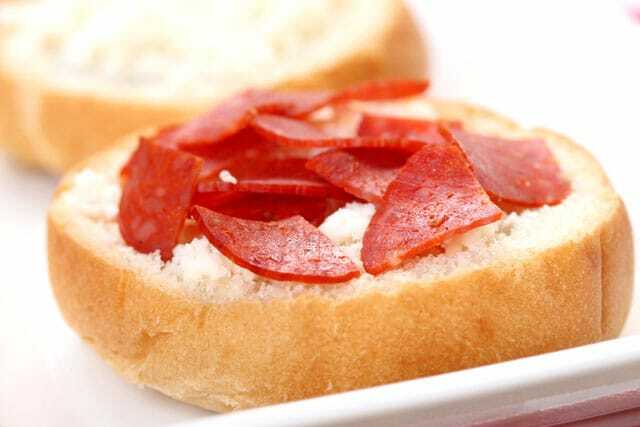 Add half of the pepperoni (also reserving some pepperoni to make another layer of toppings). 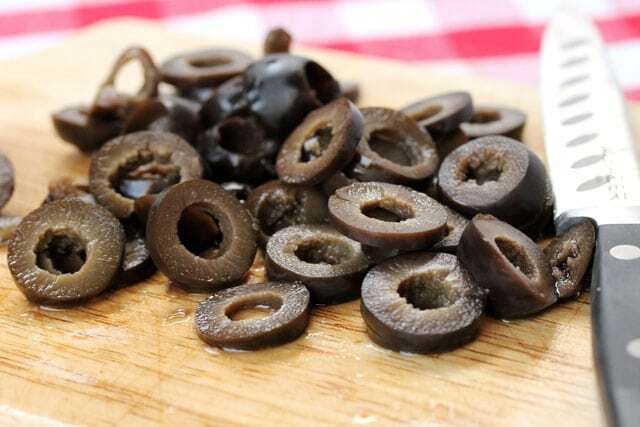 Next add half of the black olives. Sprinkle half of the grated Parmesan cheese on top of the pizza. 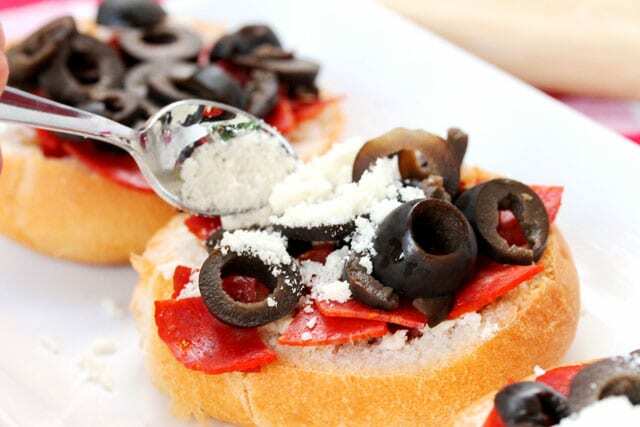 Then add another layer of toppings using the remaining mozzarella cheese, pepperoni, olives, and Parmesan cheese. Bake uncovered on a cookie sheet for about 15 minutes or until the cheese is melted. Serve hot right out of the oven. How cute are these. What a fun dinner idea!